Twin Flames: A Love Affair. Allow me indulge and begin this blog post by saying that the term 'twin flame' leaves me quite indifferent. There are reasons behind this statement. The term has become a trendy topic for all the wrong reasons. It is not the fact that people are no longer looking for love or a soul mate, they are specifically looking for their twin flame, as if this was a birth right. There is no guarantee, and certainty does not exist. Somehow the world lives under this spell of a false sense of entitlement. Life will never present us with the wonderful possibilities that one could experience unless we move towards our goals with persistence, trust, belief and hope. Curiosity killed the cat. Certainty kills humans by the millions. No one can tell you who your twin flame is. In order to meet the people who are going to make a difference in your life, and a twin flame certainly would, we must go on an adventure. Very rarely they will come knocking at your door. The adventure begins beyond fear, beyond what we know and beyond the safety of the mirage of certainty. We must be prepared to be surprised and not always in pleasant ways. However uncomfortable experiences may be, we have to go through them if we want to get closer to that unique person we are looking for. For months I've seen in online forums and groups people claiming they've met their twin flame. Essentially this is person they've fallen in love with. Every time we fall in love with someone, we feel something different, so the expression "I've never felt anything like this before" is true. This, however does not equal to have met a twin flame. There are also those who claim they hold the secret to find your twin flame. It is a sad fact to see that some people see this as a business opportunity and charge for a service that is misleading. You already know this person and intuition is all you need to get to them. While it is possible to use some very effective processes to open you heart to love and attract love and others, focusing on attracting that particular person is giving false hopes. There are of course many who are providing the right information from their own perspective and experience. Nothing of what you are about to read is neither a guarantee, nor an infallible method to meet your twin. This is simply experience that I know it could help many others. To meet a twin flame we must be ready and we must definitely be walking the path of a magical journey even if we don't see the magic yet. Your reality could be most miserable due to the fact that your soul is wanting to come out. Too often the reality that we have created for ourselves causes a major trauma to the soul. It is in magic we have an incredible opportunity. We all know magic. We simply forgot. Then, and only then they will come. Somehow we all know who this person is. Everyone is born with a memory of who this person is. Some of us will spend the rest of our lives looking for them and will travel wherever it is necessary to find that person. We never lose hope, as we have an incredible sense of belief. There is certainly hope and everything is possible, but we have to take the necessary steps to move closer to our destination. In this sense, globalisation is not something to look upon as a terrible thing, but as a movement of the collective soul to create unity. Yes, we all are part of one soul. And yes, we're all different and have different purpose in life. There also seems to be a belief that the twin flame is the person we are going to meet, so to live with happily ever after. This is applying the Disney formula to love once again to define romantic relationships, and it comes down to semantics. The sense of deception is all the same. Love is unconditional. For as long as we concentrate on what we can get from it, it is not love, but more of the deeply ingrained belief in the human psyche that we can control everything. 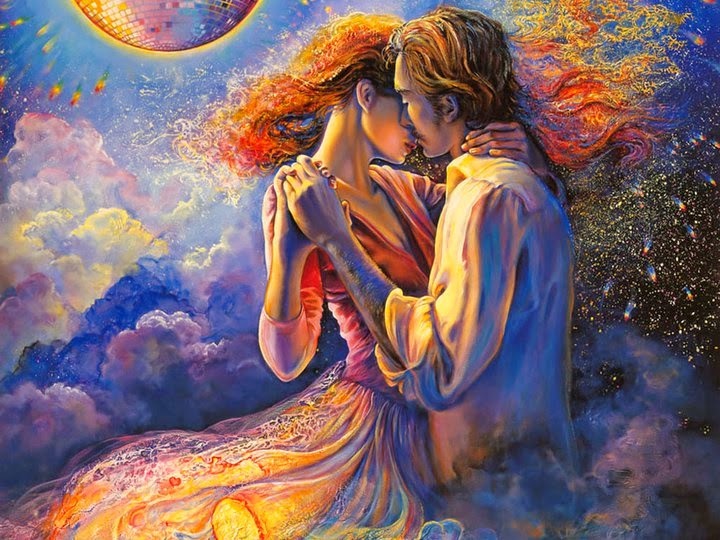 The soul connection with the twin flame is the strongest there is. When we meet them, we will certainly recognise the essence. This is: two magnets that attract and repelled each other. They are the perfect mirror in which we see reflected everything we need to see about ourselves, every flaw, every mistake and everything erroneous belief we have learned and adopted from a very early age. 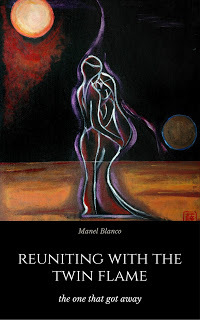 The experience with a twin flame is a fascinating journey. The attraction is mutual, almost irresistible. It is possible that this person has been in our lives for years; that we have loved and hated them. Twin flames adore each other, as much as they fight each other. But this is not a fight with the other. They are our equals and what we fight is the self, not the other person. The good news about a twin flame is that it is a wonderful opportunity to see the death of the ego, the spiritual death of who and what we've become and who are not. It is an intense process that if dealt with the level of awareness required will see us through the complete disintegration of the self and our spiritual rebirth towards enlightenment. In order to see results, both partners must have a similar and rather advanced level of self-awareness and understanding. In my experience it is also an excruciating process. If we overcome the resistance of the ego to die, we meet all our demons and fears. It is not a process for everyone, even though everybody can go through it. How much courage we apply to move through this path is always a personal choice. It is easy to realise what our fears are, as we have been through a lifetime of avoidance, but it is not as easy to accept that they're ours. Allowing the ego to keep fighting for its survival, will result in the end of the relationship. Our fears will appear in different forms, jealousy, envy, anger or hate to mention some. This is not who we are, but before we remember who we truly are, we must go through all unwanted feelings and emotions and feel for as long as it takes. The reason this is a difficult and painful process is due to the overall feeling that takes over. When we take responsibility for our feelings and emotions the ego suffers and will fight as you have never seen before. We must bring truth to life. If the feeling is jealousy, we have to admit, that yes, we are jealous, feel the emotion and let this feeling disappear. The more we feel, the weaker the emotion becomes. We become stronger, but we will not see this immediately. The impression we get during this period is a depression. You are not depressed. It is a different energy. As the ego weakens, so does body and mind. The soul is pushing to come out. The only tool we have to go through is love. Love for ourselves and love for the other person. We must make a conscious decision to bring truth to our lives. If we continue lying, we are lying to our partners, but also lying to ourselves. There is love and if we want to see the true expression of love, we must experience what it is first. Love is unconditional and there is no room for lies. If you feel you cannot do it for yourself, do it for the person you love. Whether we choose to continue lying or to finally allow truth in our reality, this is a very destructive process and it could be the end of the relationship. Remember one important fact, your twin will feel and perceive the lie. In this scenario there is no place to escape to. You decide if you are in or on your way out. There's nothing we can do to avoid it. Trying to control the process is nothing but a Machiavellian plan devised by the ego. Ego cannot reach the moment of enlightenment and ego is not going to fool the other person. The process in theory is simple, realisation, acceptance and feeling. The experience is not. Ego is all we have known for most of our lives and letting go is not something we are prepared for. If you find yourself in this situation, love is the only thing that will help you through. Eventually you will thank yourself for it. If you followed these steps, there will be a moment in which you will not recognise yourself. The answers that for most of your life you used to deal with situations will not be there any longer. The thinking process changes, you might become less articulate and participating in conversations. You will become morose and weaker, although you will still enjoy the moments with your partner. Avoid arguments, blaming or trying to be right. This is the greatest opportunity you will encounter in your life to become who you really are. Your twin flame is here to tear you apart, not to have a loving relationship for the rest of your lives. If both go through this lengthy process successfully, there might be a chance for this to happen, although separation is very possible. For both twins to reunite, both have to reach this point. They will never forget you and they will be with you at all times in essence. Whether the relationship continues or ends, you must keep living, developing and learning. This is what's expected from you. It's not the end. As you progressively enlighten your life, you become more of a magnet, and this can be felt to a soul level wherever your twin is. If you do it right, they will feel it and they might return. There's always hope and you must trust. Be patient. People come to us when the moment is right, not when we decide that it is time. Finally, if they have disappeared from your life, do continue loving them regardless of what has happened between you two. Love and let go, then you can have it all. You will always be connected and they will appear at the right time. Know and feel this connection. Love is the most powerful magnet. To me, love always seems the best option. Then, you decide who and what you want to be. A Twin Flame For The End Of The World. The Return Of The Wild Woman.